Leeds United have confirmed that out of favour midfielder Luke Murphy has joined fellow Sky Bet Championship side Burton Albion on loan until the end of the season. The 27-year-old is signed for United in July 2013 from Crewe Alexandra and is still under contract beyond this season. He has made 111 appearances for the first team. 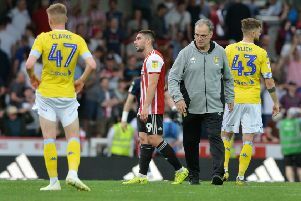 Murphy has found himself frozen out of the first team picture this season since Garry Monk took over as head coach, making just one appearance in the EFL Cup against Luton Town in August.